We’ve all seen articles toting claims like, “Email is Dead!” or “Marketing on Social Doesn’t Work.” Well folks, neither is dead and they aren’t going anywhere. For marketers, email will continue to be the key communication channel for acquiring leads and customers as you get a $39.40 return on every $1 invested. While social is nowhere close to that yet, it still has such a broad reach that you’re throwing money out the window if you neglect potential prospects on this medium. That’s why it’s advantageous to blend these channels and have them work together, instead of against each other. Extend the reach of your campaigns. Grow your social and email list. In this blog, we’re going to break down how you can incorporate social elements in your email campaigns. From the basic, social icon in the footer to embedding live feeds in your campaign, read on for some great marketing techniques. Before we jump into more creative ways to integrate social techniques in your email, let’s start with the “must-have” technique: social icons. 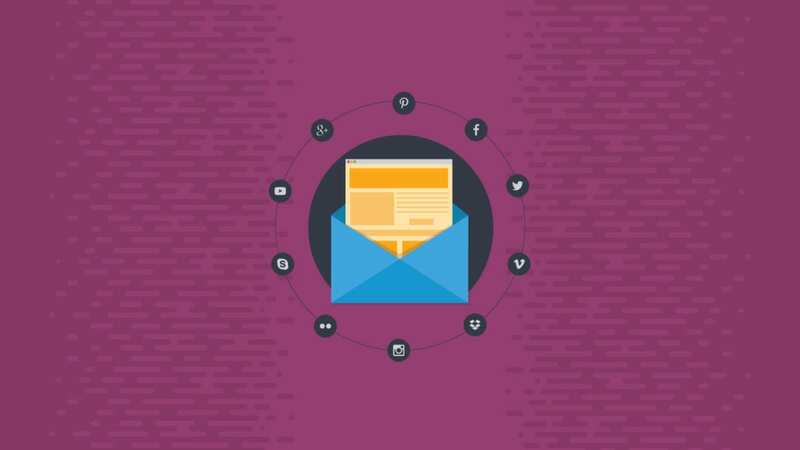 Your email should always have your social icons so your audience can connect with you on all your platforms, not just one. Since getting a new like or Twitter follower isn’t typically the focus of the email, it’s better to put them near the footer as to not distract from the #1 goal of the email. You can bet that if someone made it to the very footer of the email, they are interested in the brand and may want to engage on multiple platforms. Also, by providing a hashtag to use on the social platforms, West Elm can easily track the social engagement they’re creating from their campaign. Share buttons differ from just embedding your social icons in your template. 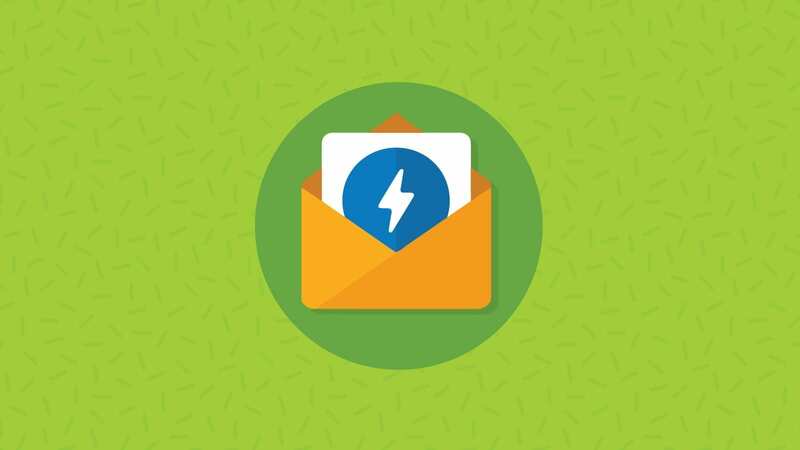 This is when a marketer includes an option for the subscriber to share the entire email or a specific content block with their social networks from one button. According to GetResponse, emails with share buttons have a 158% higher click-through-rate than those without. The five share buttons with the highest CTR are Facebook, Twitter, LinkedIn, Pinterest, and Google+. A great tip when using social share buttons in your email is to make sure there is an HTML webpage copy of your email. Then, code your buttons to share the HTML page. It would be poor form to make users visit a separate html webpage and then hit a “Tweet” button in order to share your content or promotion with others. This is extremely helpful because then your readers won’t mistake it for a social icon that they’d click on to follow the company. In the email below Scoop.it decided to put the share icons at the top. It is unclear in this email whether these icons are in fact for social sharing of this email and not just following icons. You want to ensure you are clear. Sometimes it’s not enough to get your email list to engage with you on social by just politely asking. That’s why you need to offer a compelling incentive that encourages engagement on your other platforms like Facebook. 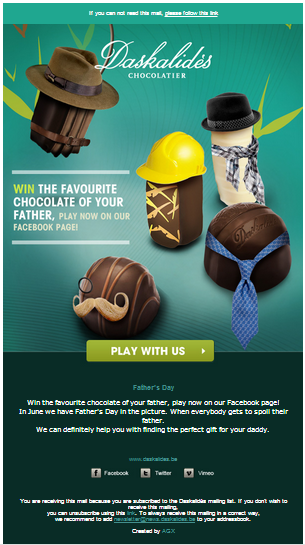 Daskalides Chocolatier ran an awesome email campaign that personally incentivized their readers to hop out of their inbox and on to Facebook. Not only is the email itself beautifully designed, they are also offering an awesome incentive and making it into a game. People are more willing to engage with a brand if it seems fun and light-hearted. Even though someone is bidding your email campaigns adieu, that doesn’t mean they don’t want to hear from you outside of their inbox. 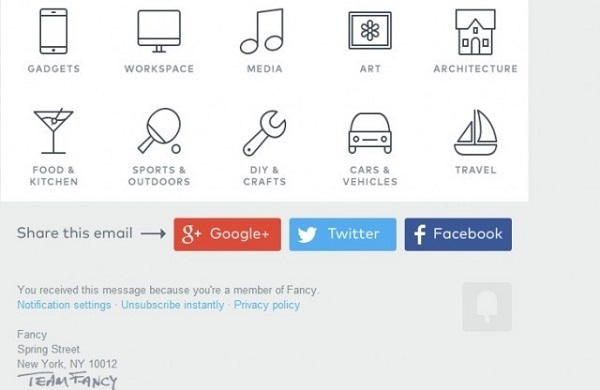 Add social icons to your unsubscribe page so they can follow you on their preferred channels. 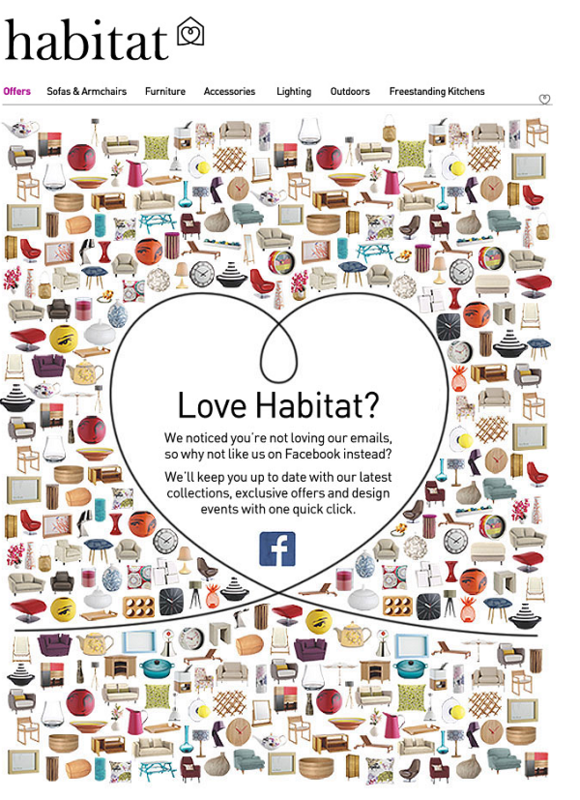 Habitat’s email unsubscribe page executes this tactic flawlessly with the text that reads, “We noticed you’re not loving our emails, so why not like us on Facebook instead?” Conversions happen out of the inbox too, so make sure you’ve got the net in place to save prospects. In email marketing, social proof is a must. Sure, you have an incredible offer (product, service, etc. ), but you need real people singing your praises to convince others. 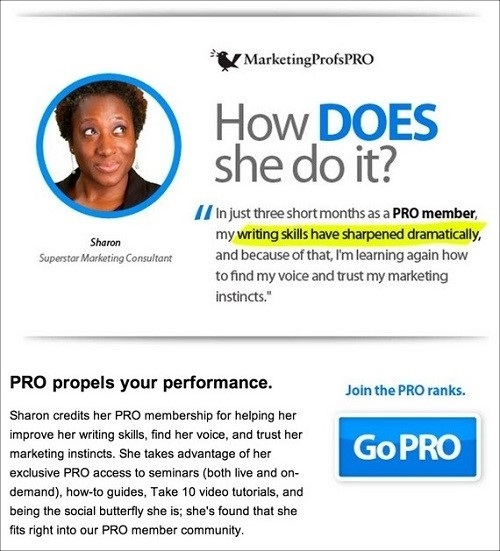 Below, MarketingProfs did a great job with a customer testimonial to show what a PRO membership can do for you. Bottom line: As an increasingly social culture, people want to feel validated by knowing that others find value in the product or service they are considering. Ease their minds and create an environment where that decision is a no-brainer with social proof. 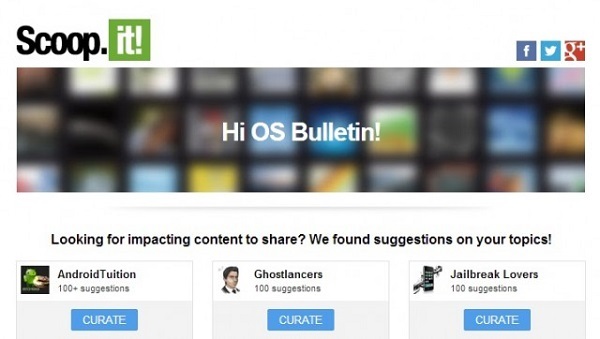 This is one of the more innovative and unique ways to incorporate social and email. 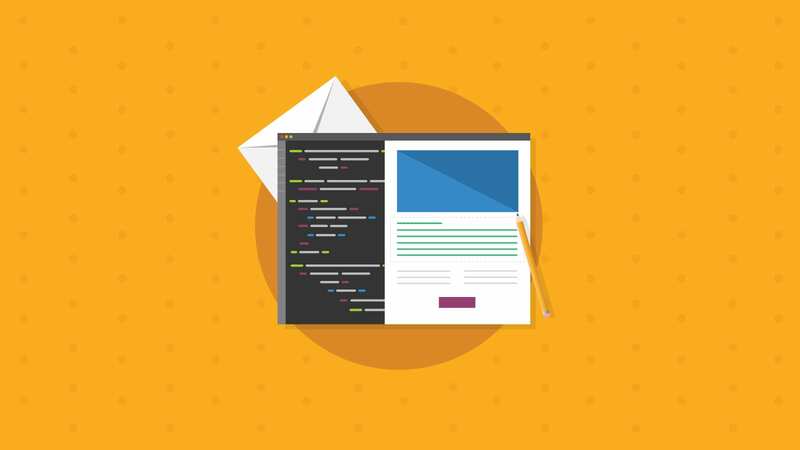 In order to achieve a technique like this you will need some coding experience and a platform to run a lot of email tests on! 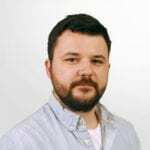 This hack in your template will require you work with dynamic CSS as well as being able to implement fallback strategies. Check out this awesome example below from the Financial Times. At the very bottom of the email they coded a live Twitter feed of the U.S. election coverage. This is a great use of this coding technique on an incredibly timely and topical subject. Social Components? Check! Now What? From coding your social icons into your footer to more advanced techniques of live feeds in your campaign, they all have one thing in common: you absolutely need to test these social elements in your campaign before you hit send. In need of a testing solution that doesn’t require you open your email on 20+ email clients and different devices? Try Email on Acid, free for 7 days, to get unlimited email, image and spam testing!